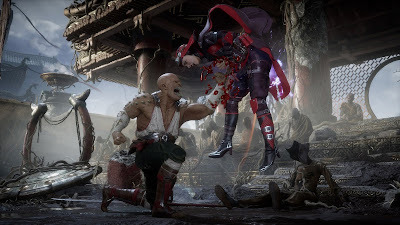 We got new gameplay trailer of Mortal Kombat 11 and also see some new character. The video which you can watch above, shows off a variety of verteran Mortal Kombat characters battling it out. We seen first look at Liu Kang, Baraka, sub-zero, Sonys and the returning Skarlet, who was a DLC characters for Mortal Kombat 9. This video also show quick of Gears, a new character that has the ability to manipulates sand and time. And in true Mortal Kombat fashion, we also got plenty of gruesome fatalities. NetherRealm confirmed that there will be different variations of fighters, and players will be able to customize these with different costume pieces, intros and more. Mortal Kombat 11 launches for PS4, Xbox One, PC and Nintendo Switch on 23rd April.